We are not here on weekends. See pictures for exact details. This is a used GRADE B condition screen. Laptop screen is in good condition. We do not support export outside the United States. No exceptions. This is a motherboard that has been flashed to accept several different generations of CPUs. This allows for i3, i5, i7, and i9 6th, 7th, 8th, and 9th Gen CPUs to work in the motherboard. This has been tested in gaming and has been stress tested with several bench marking suites. 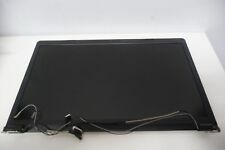 OEM CLEVO W87CU 17.3" Palmrest Touchpad SpeaKERS 6-39-W8702-011. This includes stating the item sold at a lower value, that the item is not usable, or is a gift. Clevo 15.6" W650SJ Bottom Case W6503-015 w/ HDD Access Door Cover "NICE"
MSI GT60 2OD-026US MS-16F4 laptopLCD housing assembly front bezel hinges wifi antennas video cable. Pull from Clevo P170EM. only touchpad with fingerprint reader included. motherboard and wifi and other parts not included! See pictures for exact details. This is a used GRADE B condition screen. Laptop screen is in good condition. We do not support export outside the United States. No exceptions. We are not here on weekends. Works for P151SM P150EM P151EM laptop LCDs too. CLEVO W870CU W87CU 17.3" LCD Complete Assembly. This includes stating the item sold at a lower value, that the item is not usable, or is a gift. SAGER NP9873. Keyboard for Clevo models As well as Sager models US English: QWERTY. Hi, for sale is aSager Clevo CyberpowerPC W370ET Bottom Case Genuine OEM. Working perfect. We are not here on weekends. We do not support export outside the United States. No exceptions. Goods without RMA number willNOT be accepted. Item Condition: Genuine Original New. If after a month, you have not received your item. This LCD screen is like new with no scratches and any other problem. It was taken from a TURBOX laptop that ι was using for 9 months. This laptop had a problem with the CPU. Audio Board for Clevo models. Installing a laptop motherboard. Installing a laptop screen. Do you have more detailed information on this item?. When can I expect my order to arrive?. No, you can collect during our opening hours. I haven't received my order yet, where is it?. 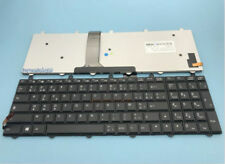 Clevo 15.6" W650SJ Genuine US Keyboard MP-12N73US W650EH0K Tested "NICE"
Item is inGOOD condition. Keyboard has minor wear sign on space key. This is a genuine part was pulled from a used Clevo W650SH laptop and in working condition. Tested and fully functional original Clevo part. 6-31-P75D3-100 HEATSINK CLEVO P750DM. LOCAL PICKUP IS AVAILABLE FOR FREE. Used fan's and heat sink assembly for Sager or Clevo. Item Condition: Genuine Original New. Goods without RMA number willNOT be accepted. PO Portugal适用于CLEVO P651SG P650 P655 P650SA P650SE P651SE背光键盘. P651SG P650 P655 P650SA P650SE P651SE. If you buy the wrong products, plese inform us as soon as possible. we will resolve it for you as soon as possible !